RCM-1204C-H-W tubular embroidery machine has 12 needles, 4 heads, 17.7x19.7 inch field, 1000 spm, thread break detection. Ricoma RCM-1204C-H-W 12-Needle 4-Head Stretch Field Tubular Embroidery Machine. 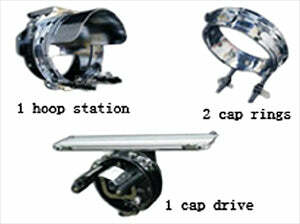 Embroidery area: 450 x 500 mm, or 17.7 inches x 19.7 inches. 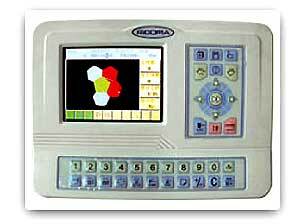 Ricoma RCM-1204C-H-W Compact Control Panel. Ricoma RCM-1204C-H-W Frames / Hoops Included. Ricoma RCM-1204C-H-W Cap Attachment Included.